Kohler is getting into the smart home game in a big way in 2018 with a new Alexa-integrated mirror as well as kitchen, shower, and toilet products that recognize voice commands and gestures. One of the oldest names in kitchen and bath fixtures is getting serious about the smart home. Kohler announced Friday that it will show seven new smart home products at CES 2018, including mirrors, faucets, toilets, and bath products in its Kohler Konnect line. The idea with Kohler Konnect is to automate and control all manner of common tasks such as filling or draining a bath or adjusting a mirror’s lighting. Devices in the product family can recognize voice commands as well as gestures, and can be integrated with three of the major digital assistants: Alexa, Google Assistant, and Siri via Apple HomeKit. Kohler mentioned only one specific Alexa integration in its announcement. In addition to voice and motion control, the fixtures can be managed via the Kohler Konnect app for Android and iOS. 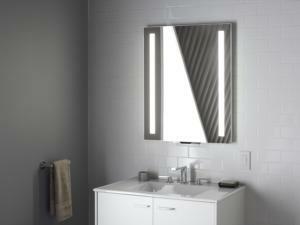 First up, is Kohler’s Verdera Voice Lighted Mirror. The mirror features Alexa integration, and you can pair it with other Konnect platform devices. 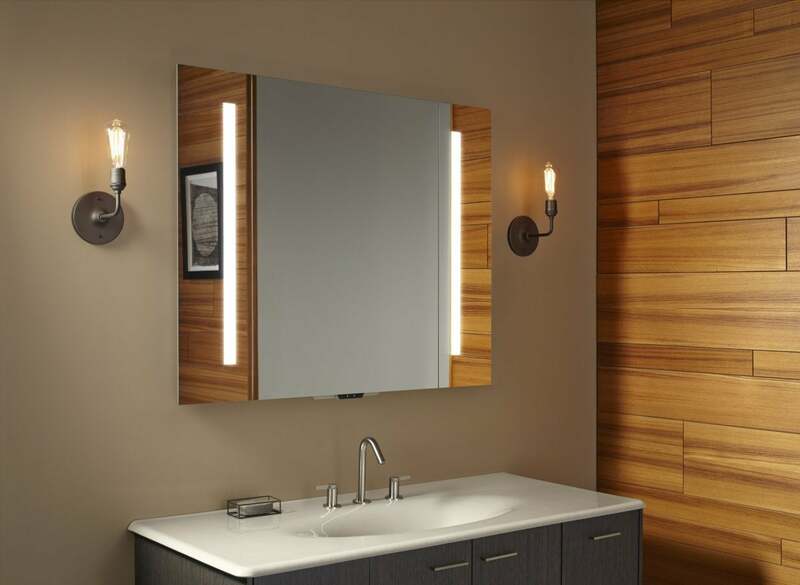 The mirror has dual mics, speakers in hermetically sealed casings, a motion-activated night light, and LED lighting. The mirror will cost $1,332 when it ships in March. Next up is the Sensate kitchen faucet that can turn water on and off via voice command or motion control. With this faucet you can not only use a voice command to fill a container with water, you can specify precisely how much water you need for a recipe, eliminating the need for a measuring cup. Kohler’s DTV+ Showering System is a panel that lets you adjust water temperature, control shower heads, music, lighting, steam, and the length of your shower. The DTV+ will be available later in 2018 and cost around $1060. If baths are more your speed, the PerfectFill kit can automatically fill your bath to a specific depth and temperature. If this works as advertised that means no more fiddling with the taps to get the right amount of heat, and no more worries about leaving the bath to overflow. The fill kit also has an auto-drain feature. Both fill and drain features can be controlled via voice command or Kohler’s Konnect app. The shower and bathtub products are designed for remodels or original construction. You won’t be able add these high-tech features to your existing fixtures. 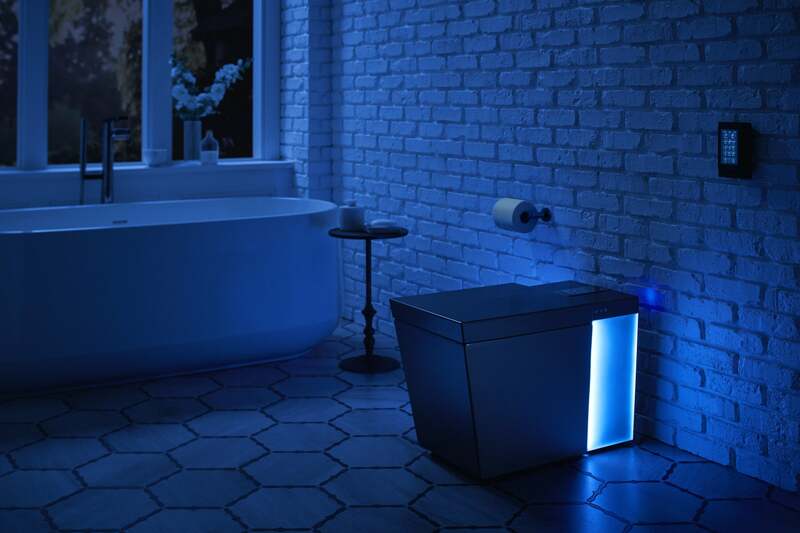 Finally, Kohler is rolling out two smart toilets and a smart toilet seat. 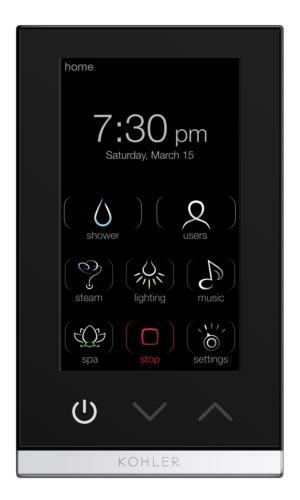 The Numi Intelligent Toilet features ambient colored lighting, Bluetooth music sync, and heated seat and foot warmers. Adding the Numi to your throne room will set you back the princely sum of $7,500. The PureWarmth Toilet Seat is, just as it sounds, a heated toilet seat with the ability to control the temperature, timing and duration of your heating. Finally, the Touchless Response Toilet adds a motion sensor to your standard flush lever so you never need to touch a button or handle—there’s also an integrated night light. The rest of Kohler’s initial Konnect lineup is set to roll out later in 2018, after the mirror in March. Note: This article was updated with live links to Kohler's website.